Free Shipping Included! 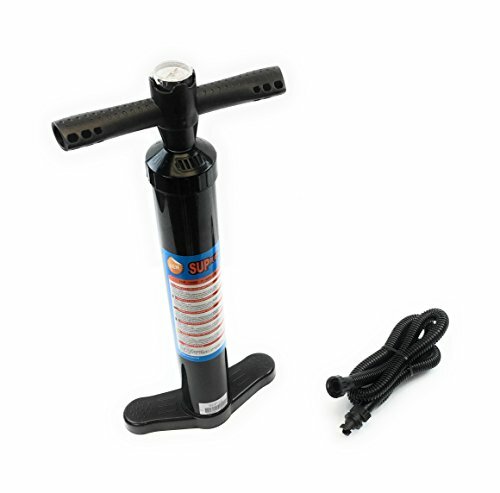 SEAMAX SUP Hand Pump Max 27 PSI, Light Weight to Carry, Good for All Inflatable Paddle Board and Inflatable Boat by SEAMAX at Atlantic United Soccer. Hurry! Limited time offer. Offer valid only while supplies last. Fast action and easy to reach higher pressure. Capacity: 2200 cubic cm. Pressure: 27.5 PSI / 1.8 BAR. If you have any questions about this product by SEAMAX, contact us by completing and submitting the form below. If you are looking for a specif part number, please include it with your message.